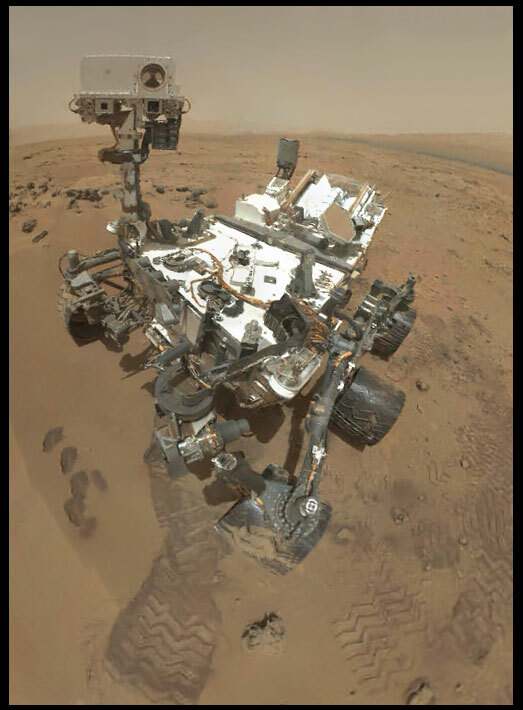 NASA’s Curiosity rover has been sitting tight on the Martian sand doing a few sciences for nearly a month now. But it recently took some time out for a vanity shot, producing this adorable self-portrait (click for a larger version). The image combines 55 photos taken with the rover’s MAHLI camera, which sits outstretched on the end of Curiosity’s arm. 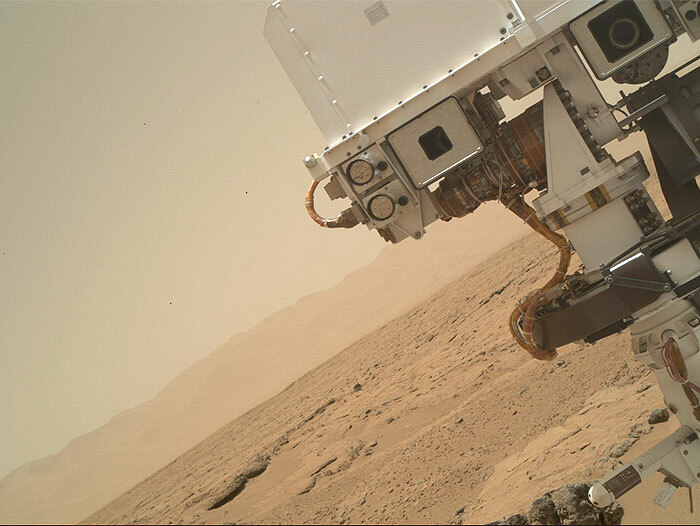 The probe moved the camera to different positions in each image so the arm isn’t visible. Amateur astronomer and science writer Stuart Atkinson stitched together the raw images that Curiosity beamed back to Earth on Oct 31. So far, the rover has only sent back the smaller, thumbnail versions of these images, with the full-sized ones arriving in the coming days. NASA will likely produce its own version with the full resolution pics so stay tuned for an even more amazing Curiosity selfie. 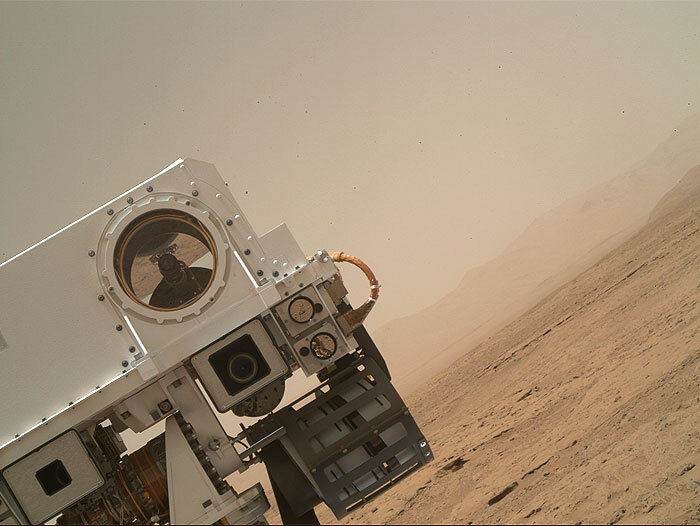 On Sol 84 (Oct. 31, 2012), the Curiosity rover used the Mars Hand Lens Imager (MAHLI) to capture the set of thumbnail images stitched together to create this full-color self-portrait. 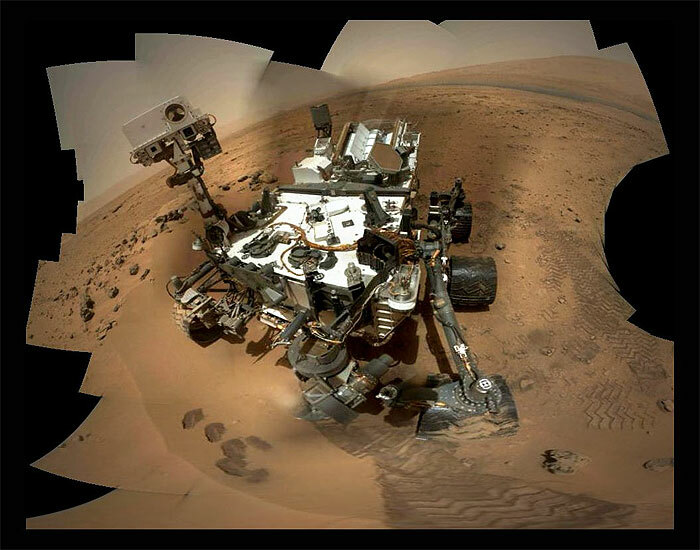 This self-portrait documents the state of the rover and allows mission engineers to track changes over time, such as dust accumulation and wheel wear. 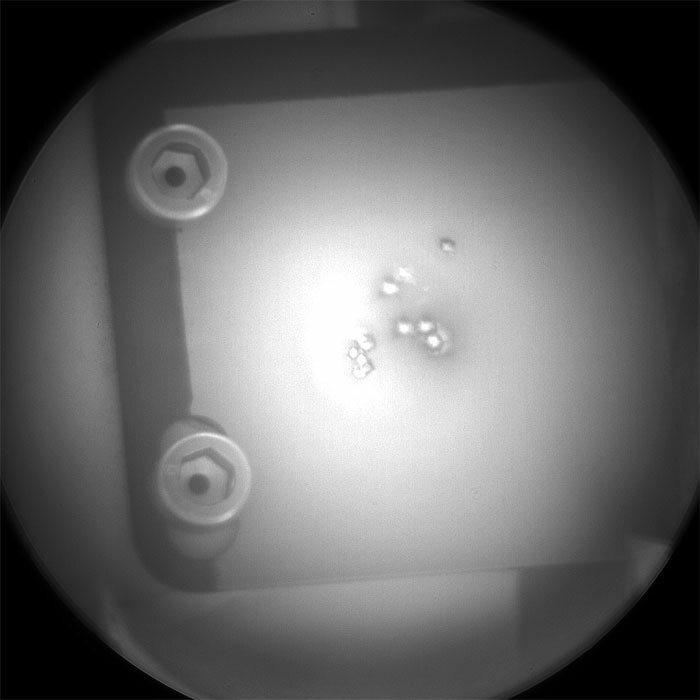 Due to its location on the end of the robotic arm, only MAHLI is able to image some parts of the rover, including port-side wheels. The mosaic shows the rover at "Rocknest," the spot in Gale Crater where the mission's first scoop sampling took place. Scoop scars can be seen in the regolith in front of the rover. A portion of Mount Sharp appears on the right side. 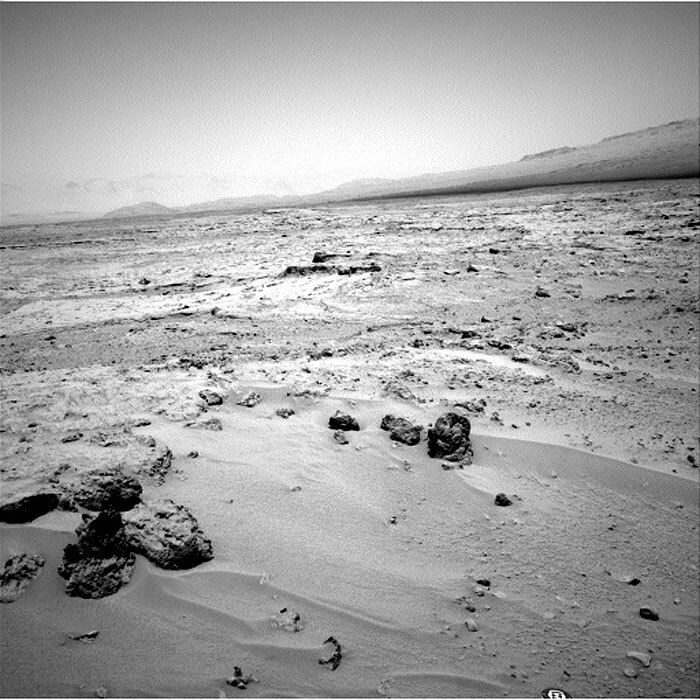 Mountains in the background to the left are the northern wall of Gale Crater. When the rover returns the full-resolution MAHLI frames of the scene, the team plans to generate a more detailed portrait of Curiosity in its Martian neighborhood. This image shows the cells that hold the soil samples that are vibrated by the Chemistry and Mineralogy (CheMin) instrument on NASA's Curiosity rover. When the rover delivers samples to CheMin, they are funneled into one of the windowed areas in the cell assemblies. (There are 16 pairs of dual-cell assemblies in CheMin.) These cell pairs act like a tuning fork, vibrated at about 2,000 times per second by a piezoelectric device placed between the two arms of the fork. When vibrated, the particles flow like liquid. This movement enables the instrument's X-ray beams to hit all of the grains in random orientations over time. This innovative technology has been spun off for commercial use in miniaturized portable X-ray diffraction instruments. The powder vibration system enables poorly prepared or as-received samples to be analyzed without further sample preparation. This is useful in cases where extensive sample preparation is either not possible (e.g., on Mars) or when delicate materials (such as pharmaceutical products) would be destroyed or altered by extensive grinding. Implementation of the powder vibration system was a crucial step in enabling small portable X-ray diffraction instruments because many of the moving parts in conventional X-ray diffraction instruments could be eliminated. 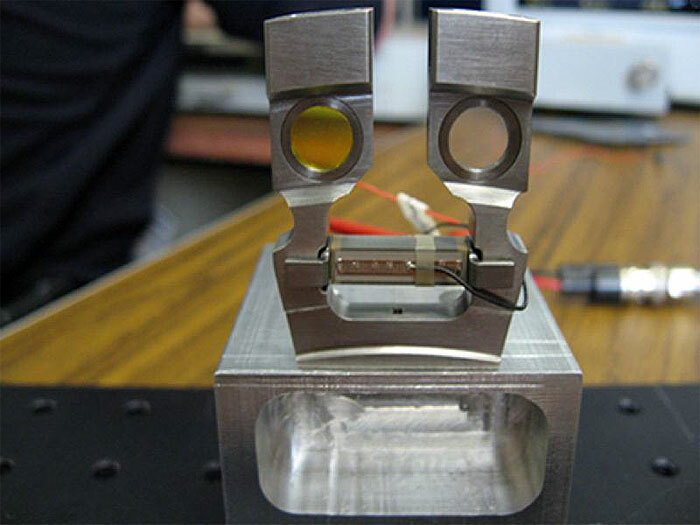 This charged couple device (CCD) is part of the Chemistry and Mineralogy (CheMin) instrument on NASA's Curiosity rover. When CheMin directs X-rays at a sample of soil, this imager, which is the size of a postage stamp, detects both the position and energy of each X-ray photon. 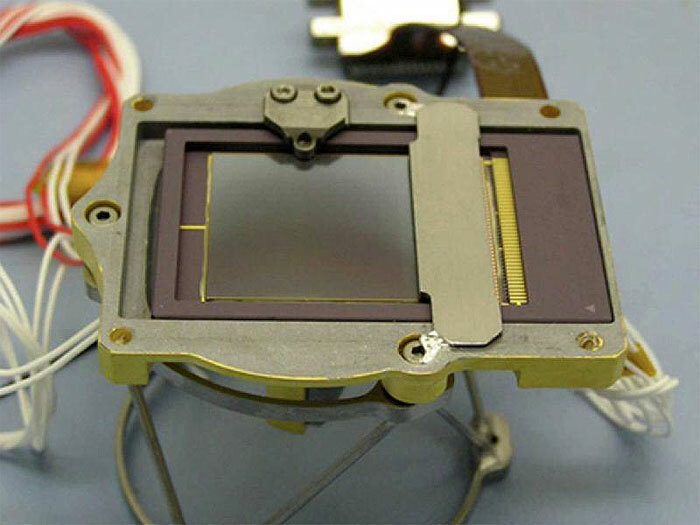 The technology in this CCD was originally developed by NASA and has become widely used in commercial digital cameras. The Martian soil examined by the Chemistry and Mineralogy (CheMin) instrument on NASA's Curiosity rover shows the diffraction signature, or "fingerprint," of the mineral olivine, shown here on Earth in the form of tumbled crystals about a quarter-inch (several millimeters) in size. 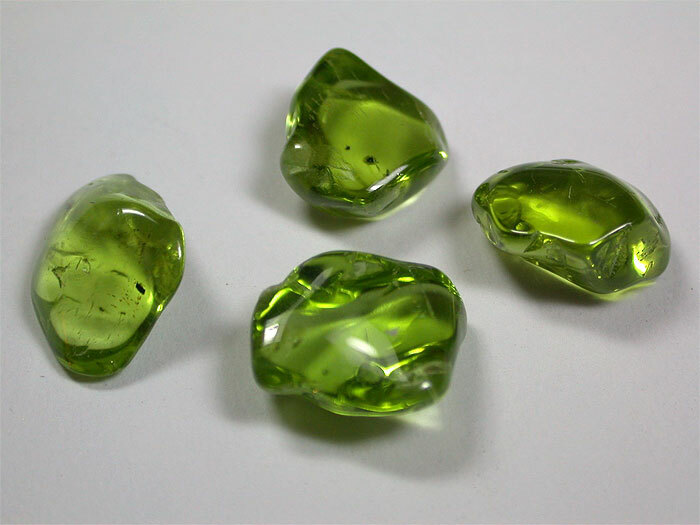 The semi-precious gem peridot is a variety of olivine. 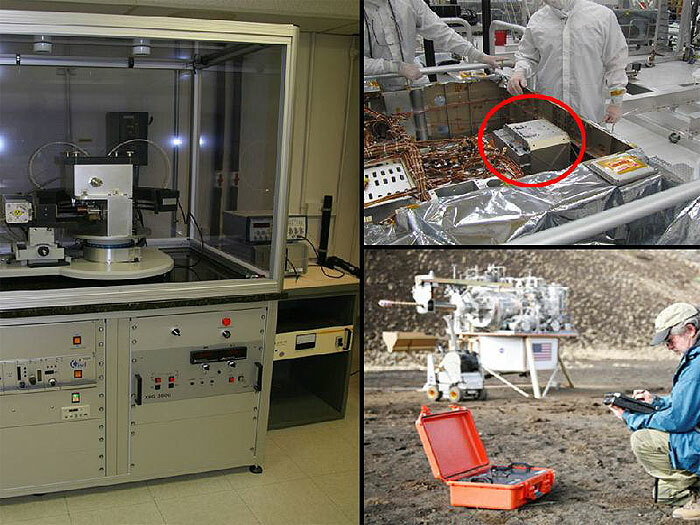 A conventional X-ray diffraction instrument (left) is the size of a large refrigerator, in contrast to the compact size of the Chemistry and Mineralogy (CheMin) instrument on NASA's Curiosity rover (top right) and the spin-off commercial portable instrument (lower right, orange case). Both of the more compact X-ray diffraction instruments were made possible by NASA technology innovations. The CheMin instrument is a cube of about 10 inches (25 centimeters) on each side. It is shown here in the red circle as technicians install it on the rover in the cleanroom at NASA's Jet Propulsion Laboratory, Pasadena, Calif. 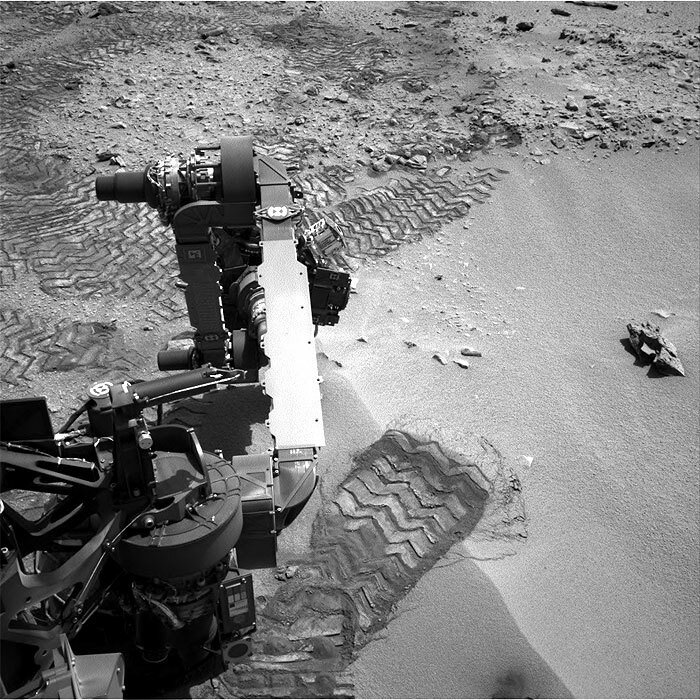 This image was taken by Navcam: Right A (NAV_RIGHT_A) onboard NASA's Mars rover Curiosity on Sol 82 (2012-10-29 08:53:52 UTC) . 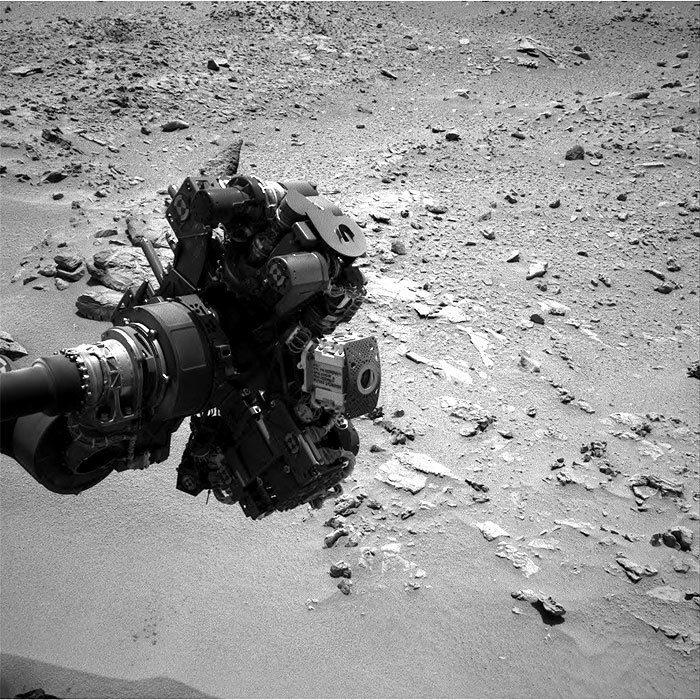 This image was taken by Navcam: Left A (NAV_LEFT_A) onboard NASA's Mars rover Curiosity on Sol 82 (2012-10-29 08:09:36 UTC) . 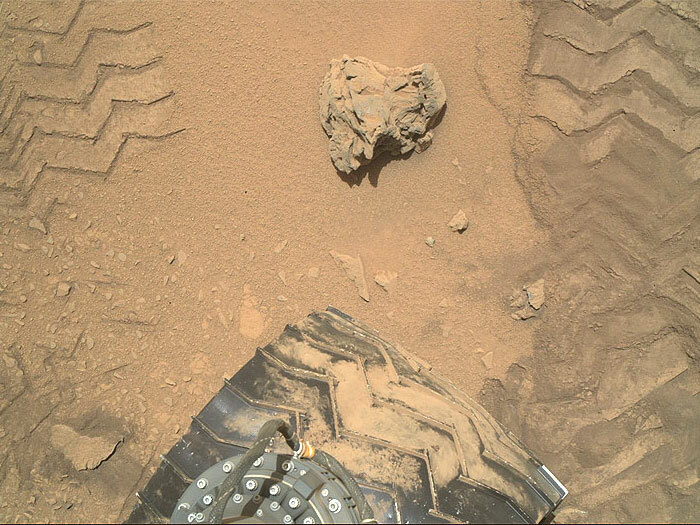 This image was taken by Mars Hand Lens Imager (MAHLI) onboard NASA's Mars rover Curiosity on Sol 84 (2012-10-31 09:57:42 UTC) . 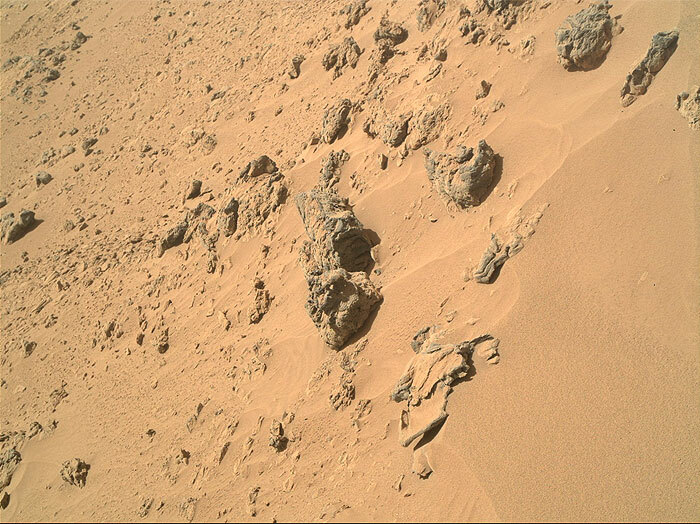 This image was taken by Mars Hand Lens Imager (MAHLI) onboard NASA's Mars rover Curiosity on Sol 84 (2012-10-31 09:11:32 UTC) . This image was taken by Mars Hand Lens Imager (MAHLI) onboard NASA's Mars rover Curiosity on Sol 84 (2012-10-31 09:35:23 UTC) . 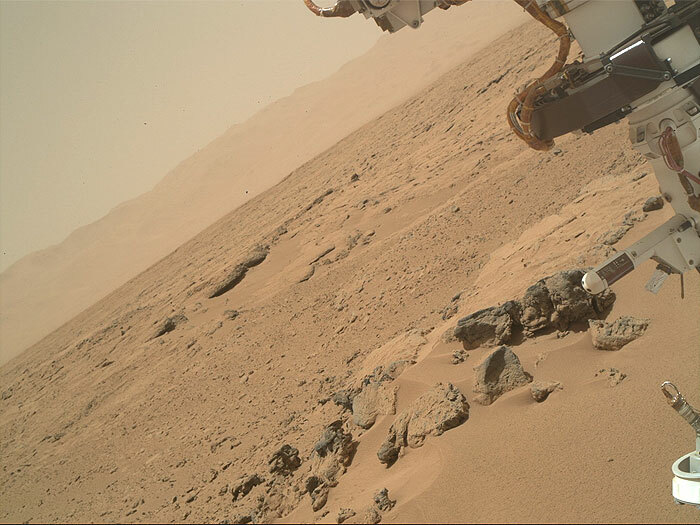 This image was taken by Mars Hand Lens Imager (MAHLI) onboard NASA's Mars rover Curiosity on Sol 84 (2012-10-31 09:45:30 UTC) . 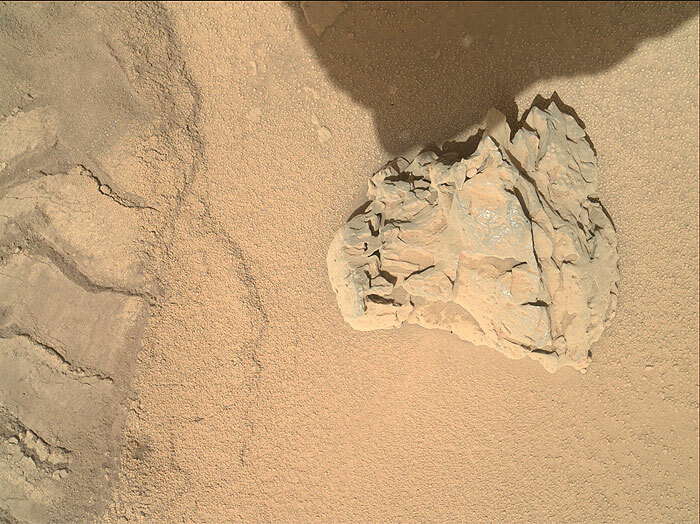 This image was taken by ChemCam: Remote Micro-Imager (CHEMCAM_RMI) onboard NASA's Mars rover Curiosity on Sol 84 (2012-10-31 06:05:18 UTC) . 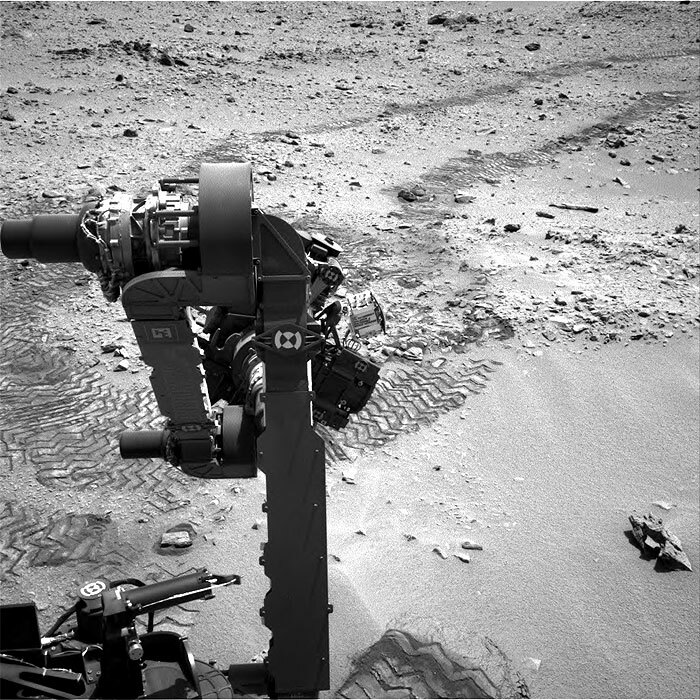 This image was taken by Navcam: Right A (NAV_RIGHT_A) onboard NASA's Mars rover Curiosity on Sol 84 (2012-10-31 09:56:58 UTC) . This image was taken by Navcam: Right A (NAV_RIGHT_A) onboard NASA's Mars rover Curiosity on Sol 84 (2012-10-31 10:09:27 UTC) . 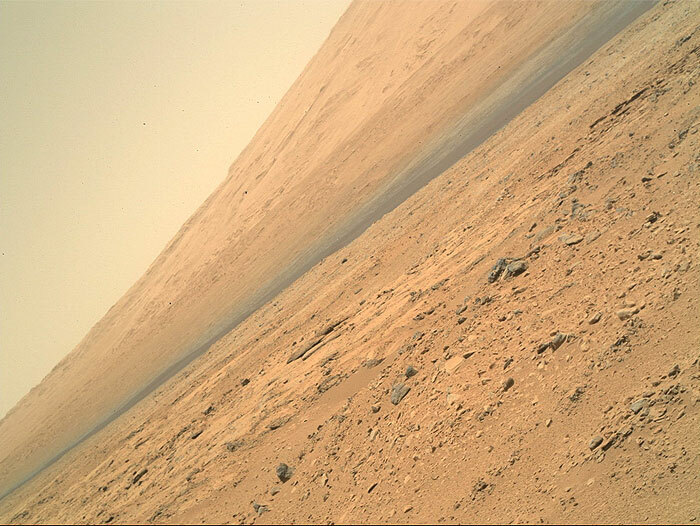 This image was taken by Mars Hand Lens Imager (MAHLI) onboard NASA's Mars rover Curiosity on Sol 84 (2012-10-31 09:15:06 UTC) . This image was taken by Mars Hand Lens Imager (MAHLI) onboard NASA's Mars rover Curiosity on Sol 84 (2012-10-31 09:21:46 UTC) . This image was taken by Mars Hand Lens Imager (MAHLI) onboard NASA's Mars rover Curiosity on Sol 84 (2012-10-31 09:22:21 UTC) .